What are you doing on Dec 29th? That is 2 nights before regular New Years celebrations….and before you need to make a resolution to eat better, or lose weight or become a better person. Why not end 2012 with a bang and start 2013 with a good feeling in your heart? For $59, you can get a VIP ticket to the Los Angeles Chocolate Festival and Pastry Show. not only will you be having fun, but you’ll also be serving a great cause. St Jude Children’s Hospitals. A custom tasting glass engraved with your name as a souvenir..and more! Sound good? BUY TICKETS HERE!! You’ve always considered yourself somewhat of a VIP and with today’s offer you can truly indulge in this fancy. For just $59, you can score one VIP Ticket to the Indulge LA Event on December 29th where delectable sweets, tantalizing sips, and beyond can be savored. Your VIP ticket also Includes the Barry Callebaut celebrity chef demo. This confectionery event will showcase the finest in chocolate and pastry chefs from around the world, along with International award-winning wines. Benefiting the work of St. Jude Children’s Hospital, your VIP ticket will allow you preferred access to sugary samplings from celebrated vendors as you sip on hand-crafted bubbly or vino. Go ahead be a decadent do gooder! A Chocolate, Pastry, Cakes and Sweets show to Indulge all your senses. The world’s #1 Chocolatiers, Pastry Chefs, and confectioners come together to put on a great chocolate show in Los Angeles. These heavenly delights will be paired with the world’s top Champagnes, Wines, and Spirits. This year the chocolate festival’s master of ceremony will be Christine Devine, Fox 11 news Anchor. The event benefits one of the most amazing organizations in the world. St. Jude Children’s Hospital will receive the net proceeds for this amazing chocolate and pastry show. Remember in the Shawshank Redemption when Andy tells Red that he would go to v because it was “a warm place with no memory”? Well now you too can enjoy the splendor that is this Mexican beach community. Travel to Playa Viva and enjoy A 3-night Studio stay at a Sustainable Boutique Beach Resort. 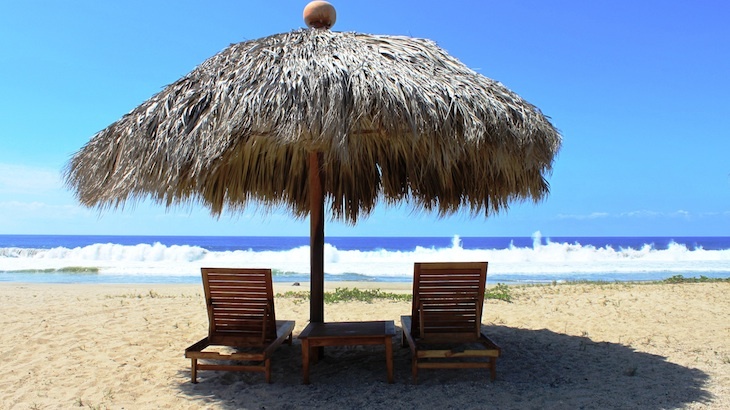 Why should you go to Zihuatanejo? Below are just a few reasons to head south of the border. A cooking class on authentic recipes puts you in touch with your inner chef. Playa Viva is committed to sustainability without sacrificing world-class fun and flavors. So what are you waiting for…book this trip now. Imagine Lifestyles comes to Southern California!!!! Starting November 8th head to Auto Club Speedway in Fontana. You’ll be able to get behind the wheel of a Ferrari or a Lamborghini…or…if your adventurous…Go for the gusto and do both. Take a spin around Autoclub Speedway and see what is it about exotic cars that makes people craving more. You’ll get instruction on how to handle the car and then jump into a Tiptronic car, which requires no manual shifting skills, to cruise around the stadium for three laps. This is a rear opportunity to propel the cars to high speeds without interruptions from pedestrians and pesky police. To get behind the wheel, all you have to do is click here to buy. you can either choose to sit in the drivers seat of one car…or both…It’s all up to you. The Fun starts on Nov 8th…but get your tickets now!!! What better way to celebrate the upcoming Halloween season than by dressing up and going out with either friends or meeting new people. Rush49 and PubCrawls.com have teamed up to give your 3rd favorite time of the holiday a reason to be more merry!! Through out the land, people will be getting together the weekend before and the day of Halloween to enjoy the merriment and drinks and just plain have fun. You should be there with them. The following is a list of pub crawls that will be going around across the country…Try one…or all…and have a spooky Halloween. New York City – Click here for a 3 day pass and enjoy what spooky fun that the Big Apple has to offer. Don’t forget that you can also go to Times Scare as well once you are done drinking the night away. New Jersey – Not to be outdone, Teak on The Hudson has its own party on Oct 27th. If you are around, this is one not to be missed. Boston – Boston is known for its Irish Heritage, now it’s known for the ultimate Halloween party at Good Bar on Oct 27th! Think you have enough choices? No matter where you are, we guarantee you will have fun. Election season is here…again. For a few months every 4 years, candidates put away any dignity they ever had to blame another person for all the problems that have happened in the past. It’s enough to make a person’s head spin. We have a suggestion. Negative Ion Bracelets….That support your candidate. These aren’t your normal presidential bracelets, these bands have been infused with Tourmaline powder which creates negative ions. Negative Ions have been proven to improve your health and help with anti-aging. So why not try to find a way to feel positive through all the mud-slinging? You may buy the bracelets here!! Rush49 is all about giving back to the community. What better way to do that than to enjoy an art and music festival in Venice? Add to that a live graffiti battle!!! The Graff Lab is an urban sanctuary for artists, kids, and adults that opened after the Los Angeles public school district cut its after-school art programs in 2006. World famous for its graffiti and aerosol art, the Graff Lab is dedicated to providing artists with a safe space to develop their skills. At the Graff Lab artists don’t have to worry about getting harassed by the police or by gangsters; they are free to concentrate on their craft. On October 13, the Graff Lab is Hosting Piece Fest, A street art festival, Music Festival and even a live graffiti Battle taped for TV…This is all to benefit the Pico Union House Corp and Inner City Youth. Join us for a day of fun, art, music and memories. For discount tickets, head to Rush49 to get them for only $20. This is a great opportunity to give back to the community that you live in and do something nice for others. A couple of blogs back, we talked about teaming up with Imagine Lifestyles to provide an exotic car experience in Boston. We’ve out done ourselves!! Imagine has got in their cars and raced over the west coast to provide all those in SF and Seattle the same type of deal. Starting Oct 11th, Imagine Lifestyles pulls into Sanderson Field in Shelton Washington for 4 days of pure adrenaline. 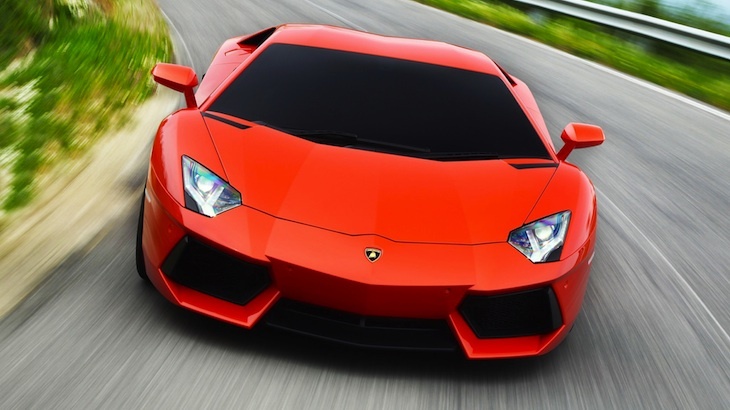 You can get the same deal as before – 3 laps around the field in either a Ferrari or Lamborghini for only $149!! If your more of a die-hard or find that choosing between 1 of 2 high performance sports cars is too hard…We definately have a deal for you. For $275, you can get the same Driving Experience in a Ferrari AND a Lamborghini!!! Later this month in San Francisco, grab your driving gloves and head to Candlestick Park between October 25th – 28th. You’ll get 3 laps around the park and tons of photo ops to make our friends jealous. All for $149!! You can go ahead and buy that deal here!!! Let face it. You need a vacation…You need to see the world…Thankfully, Rush49 has a deal that will let you do both. Rush49 and Bohemian Tours have teamed up to offer a great deal. 10 days in Northern India!!! This is a once in a lifetime opportunity not to be missed. Check below to see what is included in each of the 10 days. Click here to buy this trip for an unprecedented $987. Check in at Saar Inn Hotel in Delhi. Enjoy the free time to rest up, or use the time to shop and have a bit of a look around before meeting back in the lobby for dinner. After breakfast jump on the bus and depart for Askhardham. Visit the amazing complex and enjoy some of the exhibits before lunch. 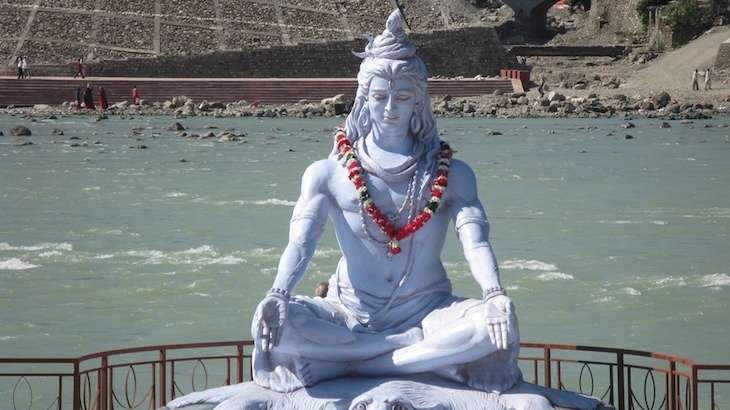 At 2:30pm you depart for the region of Rishikesh. Enjoy a light dinner upon arrival, and sleep comfortably in your Divine Ganga Cottage. Wake up to a Stretching/Mantra Mediation/Laughter Yoga Session. Ganga Classes are available on selected tour dates. After a late breakfast you’re welcome to explore the surrounds at your leisure. Take part in a Hatha Yoga Session before dinner at Ganga Beach Restaurant. Wake up to a Hatha Yoga Session, before a scrumptious late breakfast. At midday enjoy a very unique, spiritual experience, bathing in the Ganges with mantra recitations. An afternoon laughter Yoga/Mantra Mediation or on selected tour dates, Ramayan class will lead nicely into dinner. Wake to another Hatha Yoga session, enjoy a late breakfast and the rest of the morning at your leisure, before a 2:45pm Ayurveda seminar. Depart your hotel in the afternoon for an amazing Ganga Puja ceremony, before returning for dinner. After a hearty breakfast, take an awe-inspiring trek through the Himalayan foothills. This is approximately a three-hour round trip. Return for a Hatha Yoga session, before your delicious dinner. Depart to Vrindavan, for the next leg of your journey. After an eight and a half hour trip on a comfortable, air-conditioned train, enjoy an insightful seminar on yoga and meditation. Visit the local temple before dinner. Make sure you get plenty of sleep for Day 8! Wake early to catch the Taj Mahal by sunrise, a sight you’re never going to forget! 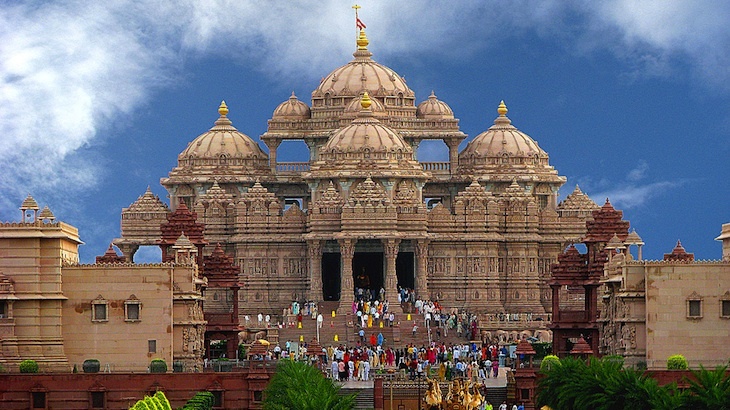 After a day experiencing the wonders of the Taj Mahal, enjoy a quick dinner before visiting the local shopping bazaar and Radha Raman Temple. After breakfast head to Sandipani Muni School. In the afternoon you will visit Kusuma Sarovar and the Radha Kunda Sacred Lake before returning to your accommodation for dinner. Enjoy a little bit of free time in the morning, before heading back to Delhi and departing.